Nival Portable Washing Machine Review - Travel Laundry Made Easy! Reviews Gadget Reviews Nival Portable Washing Machine Review – Travel Laundry Made Easy! You might be a frequent traveler, and it might be a business travel or a holiday trip or some camping, and you wanted to make sure you carry minimum gadgets with you. Along with a smartphone and its charger, the other gadgets you might be carrying around is your laptop + charger, a camera, a power bank [fully charged], some microSD cards and a few handy USB cables. Well, these are meant to entertain you, but what if, you went to a place where you can’t find any washing machine, and you’re so lazy to wash the clothes? So, you should have a travel laundry gadget too. Introducing Nival portable washing machine which can help you wash clothes at ease. Recently I received GlocalMe U2 – Portable WiFi hotspot which can be used anywhere in the world without any roaming charges and Nival washer is yet another travel gadget you can take it along with you. From the day I received I was very fascinated by how it truly works, as the gadget is merely the size of a regular computer mouse. Well, let me explain everything in my review like I used to! 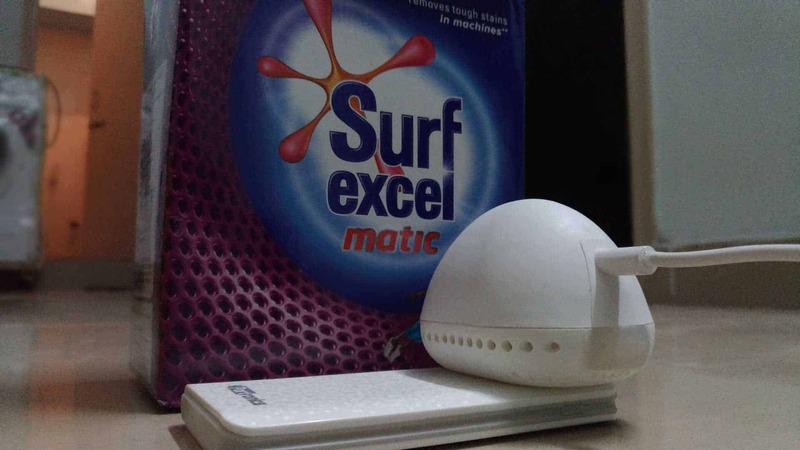 So, let’s get started with Nival portable washing machine review. By the way, there’s a purpose why I’m calling it as a machine than a gadget, and you will know the reason after going through my review. So, let’s get started! Firstly, I’ve seen the Unbox Therapy YouTube video which showcased that the gadget never worked and it doesn’t wash the clothes clean. 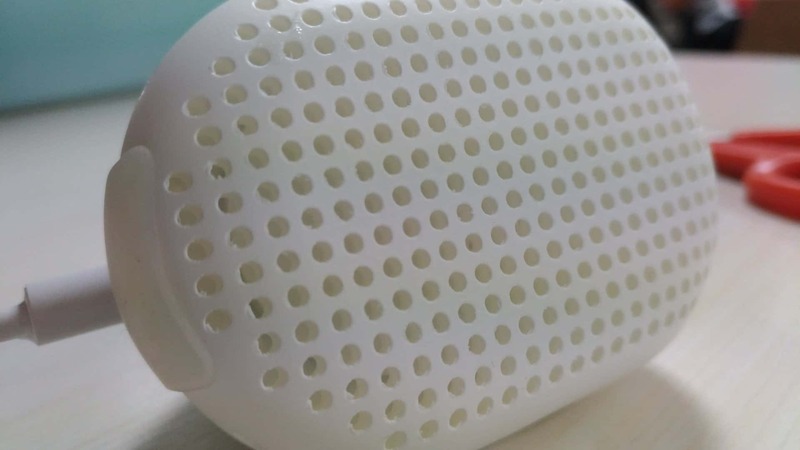 Well, even before receiving the gadget I was quite sure that the portable washing device from Nival was not meant for removing hard stains and it was meant only as a substitute to help you when you’re traveling! So, if you have any thoughts that the gadget will not work for you, then you should change your opinion. Well, let’s start with how this device works. Nival Travel Laundry Gadget – How it works? These cavity bubbles move all over the clothes which are soaked using a detergent powder or liquid and gets deposited in the dirt and pops out, thus removing the dirt from clothes. By far, this is the simplest explanation on how Nival Travel laundry gadget works. Now, let’s check out how the device worked in a practical test. I supposed to receive the effervescent detergent tablets too, but there was some problem with customs, so I could not get a chance to use the powerful detergent tablets. Anyhow, I used the Surf Excel front-load washing powder which I generally use in the washing machine I’ve! Power the device up and wait for magic! I followed the same procedure and for powering the device I used a power bank which is very convenient instead of plugging it. The device started, and I was able to notice the vibrations even from a few feets away from the bucket. Well, every time I had to place the device in the middle as it usually travels towards the one end side and after some time I left it as usual. The transducer does it work by producing high vibrations which are in turn creating cavities [you can see the ripples]. As I placed only one cloth in washing, so I left it for just 40 minutes, and I don’t think it requires more as the stains are minimum. 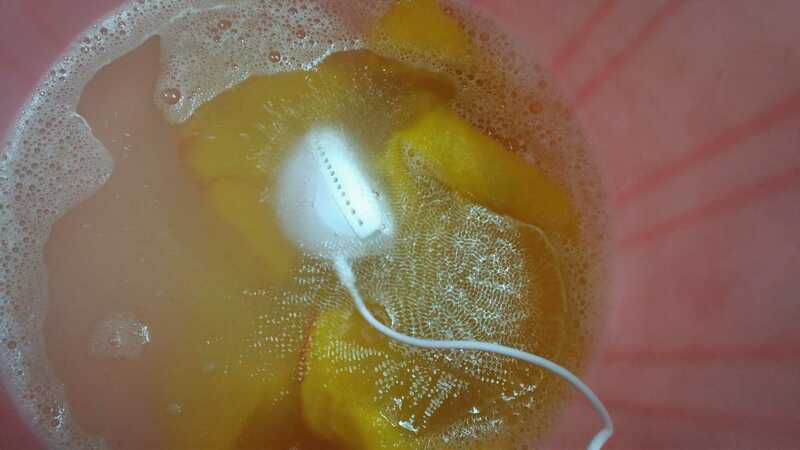 After 40 minutes, I turned off the power bank and carefully removed the Nival out of the bucket. 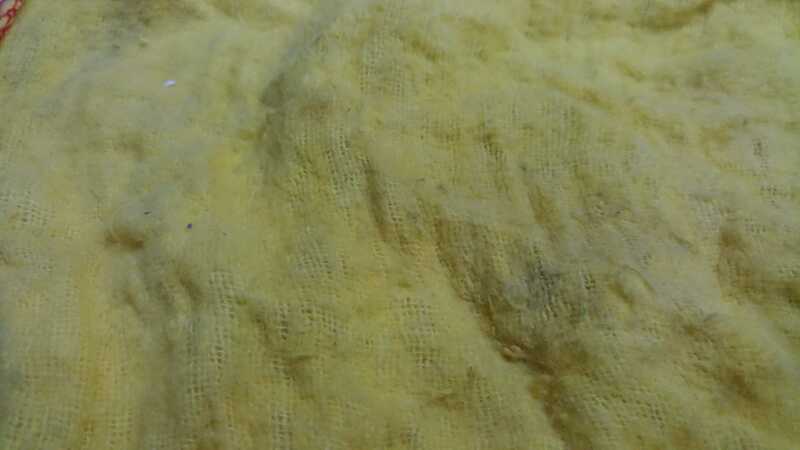 I squeezed the cloth and removed the water and dried it for some time. As already said, the stains are minimum, and the device was able to remove them [almost]. 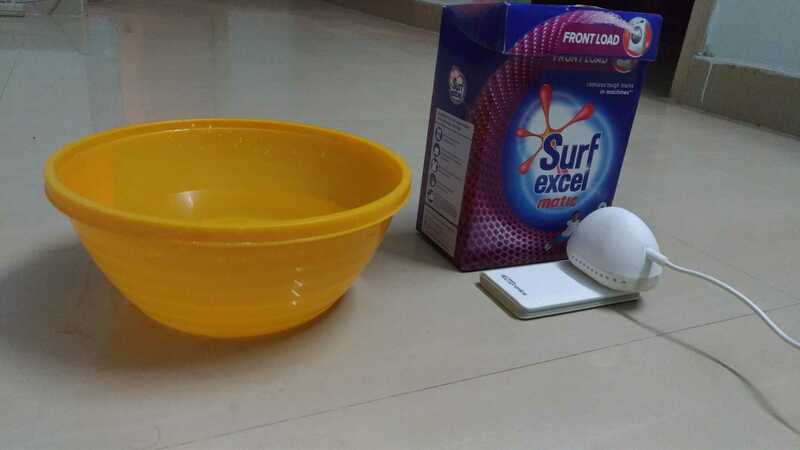 Also, I tried washing several other clothes, and the gadget worked perfectly but the dirt removal was not as clean as from a traditional washing machine but, the efficiency is comparatively high than the clothes washed by hand. The device may not replace your regular washing machine, but it comes handy while cleaning delicate fabrics, inner-garments, etc. 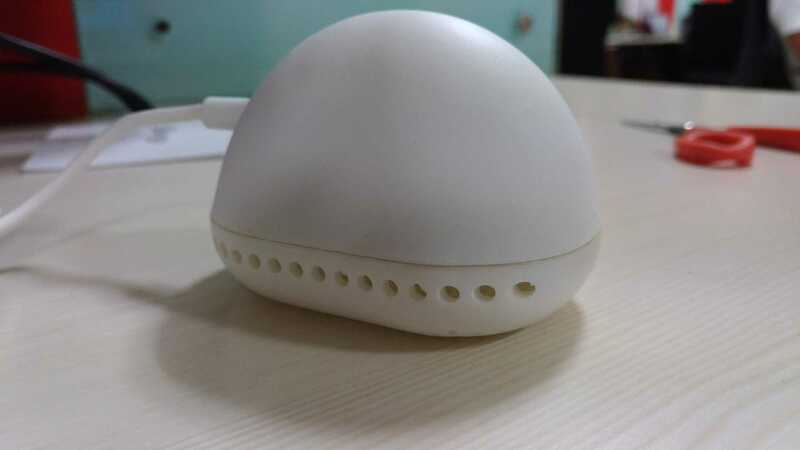 As you already saw the testings, and honestly the device is not meant for replacing your regular washing machine, but it does come handy when you’re traveling to some places where there’s no washing machine & you quickly want to wash some clothes, then this gadget is for you! Back it, if you want one! 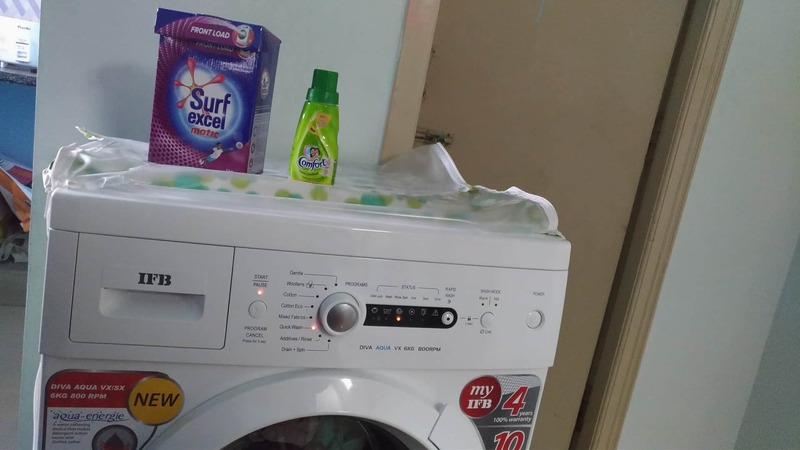 As you already saw the testings, and honestly the device is not meant for replacing your regular washing machine, but it does come handy when you're traveling to some places where there's no washing machine & you quickly want to wash some clothes, then this gadget is for you!